Jungle Red Writers: It's Pumpkin Spice Time, or not! RHYS BOWEN: It is officially fall. The leaves are turning, there is a nip in the air, Halloween candy has appeared in all the stores AND pumpkin spice has returned to the universe with the punctuality of the swallows coming back to Capistrano. I have a confession to make that may anger many of you: I do not like pumpkin spice! I can tolerate pumpkin pies, although they are not my favorite. I like pumpkin soup, but not with that cinnamon kind of flavor. But pumpkin spice lattes? Yuck! It's that season when we are overwhelmed with everything pumpkin spice. The stores are full of pumpkins. Starbucks had a countdown to the day when pumpkin spice latte would become available. And it seems that pumpkin spice flavor/scent is available in almost everything, from candles (which are actually quite nice) to condoms. But when I saw this post by my friend Eileen Dreyer on Facebook I felt I had to share. Is it for real? Eileen is an ER nurse so she should know a thing or two. Should I add a clause to my will stating that in no circumstances am I to be embalmed with pumpkin spice flavored fluid? I will come back to haunt anyone who tries to do this! 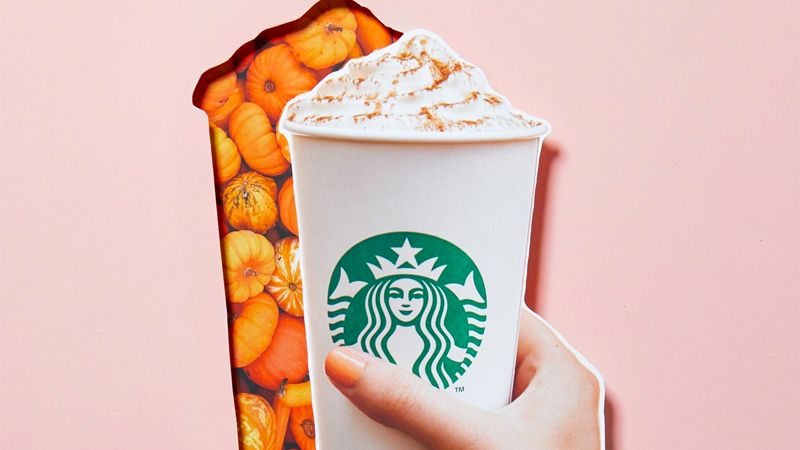 So is pumpkin spice a thing that you either love or hate? Who loves it? And who thinks the embalming fluid is going too far? Much to my youngest daughter’s chagrin, I am not a pumpkin spice devotee . . . I can do quite nicely without any pumpkin spice latte. And, yes, I think pumpkin spice embalming fluid is going way too far . . . . I don't suppose I'll care if they use flavored embalming fluid on me, but if they do, I hope they make it chocolate. I like pumpkin pies well enough, and pumpkin pecan bread, but I couldn't even really imagine Harry Potter's pumpkin juice. Pumpkin spice latte? You won't find me in line. Gah! Embalming fluid? Nevah. I love pumpkin pies but think that exactly where that tasty mix of cinnamon, nutmeg, and cloves belongs - not in coffee (not that I buy coffee out, anyway). No to the pumpkin spice as well. And my daughter has threatened to haunt anyone who sends lollies to her funeral. No pumpkin spice...but I won't say no to a cinnamon stick in my hot apple cider, fresh from a local orchard. A family member has a fairly severe allergy to nutmeg. John has joined us for Thanksgiving often enough that I have crossed out nutmeg in my recipe file. I have a nutmeg grater, too, and love fresh grated nutmeg. But fresh grated tastes quite different from what you get in a jar, so perhaps that makes a difference. This post got me wondering whether they use patchouli in embalming fluid. Or eucalyptus. Or... 31 flavors of embalming fluid. This is the reason there are 31, at least, flavors or sizes or colors or house plans or book genre or seasons for that matter. We don't like all the same things. And this is the season to hate pumpkin pie spices. Next month we can have the season to hate brined turkey or smoked turkey or stuffed turkey or barbequed turkey. It comes around as reliably as fall color in New England. And I imagine there are people who hate fall color. It's really okay, really. Are there no OTHER flavors of Autumn??? That should answer the question. And I want to be cremated and my ashes planted with a tree. I want to be part of the spirit of the woods--although if a hiker comes by with a pumpkin spice latte on the trail, I might just stick out a root and trip him/her! I hate anything pumpkin flavored. Period. End of Discussion. 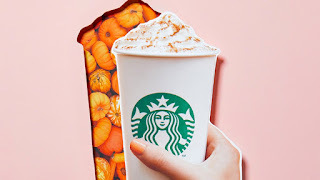 Except to say that pumpkin spice embalming fluid is a step beyond a step too far. And pumpkin spice coffee is not pumpkin flavored. Not sure about the embalming fluid though, having never tasted it. When I go to Starbucks, most of the time I get plain ordinary unflavored coffee. Except that I do like to get the flavor of the season once or twice, so I do drink one or two cups of pumpkin spice flavored coffee each autumn. Although I like it, I do wish the spices were a little stronger and that there was also a bit of the pumpkin flavor, too. Where is the LIKE button located on this thing? Ah Rhys, to each her own. I don't particularly like black pudding either, and beans for breakfast? Please. However, this pumpkin pie spice thing is the most popular flavor to hate in the autumn. Makes me wonder how Starbucks and Dunkin' Donuts manage to sell so much? Or maybe they know something we don't? Rhys, when I first lived in the UK, I only saw black pudding in Scotland. Now, you're right, it pops up everywhere and I will usually avoid it. Unlike, Ann, however, I'm fine with beans for breakfast. Just don't put HP Sauce on them! I had to Google "black pudding". Wish I hadn't. That's disgusting. I really think the PSL embalming fluid is a joke. Or at least I hope it! Ye gods. Not a fan, and although I enjoy a piece of pumpkin pie on Thanksgiving and maybe Christmas, I can take or leave it most of the time. Give me a fruit pie, or even better, my favorite Bourbon Chocolate Pecan pie! If our kids didn't insist on pumpkin I'd never make it again. I like simple and natural in almost everything: natural coffe and tea. I usually won't buy it because it is never satisfiying, too many ingredients added. As for the other, I'll be cremated, thank you. Pumpkin is a squash, so therefore a vegetable. When her mother-in-law "asked" my mother to make the pumpkin pie for Thanksgiving dinner (mid-1950s), Mother asked the farmer's wife at the farm stand which size pumpkin to buy. Mrs. A replied, with great wisdom, "Go buy a can of squash." Mother did and everyone loved it (but me who hated then and hates now all things pumpkin except jack o'lanterns). Helpful hint: if you want real pumpkin, buy one and roast it for your pies. The stuff in cans is really another sort of squash. Nothing wrong with it and probably what your grandmother used. Mine did. Bah. Pumpkin Spice stuff is awful. Candy is too soon, it's not near Halloween, not even October. Christmas stuff is in stores and that's just a crime since - as just mentioned - it's not even October. People need to try to enjoy the time we're in, instead of jumping ahead a month or three. And no, no pumpkin spice for me. Bah. My speciality: Pumpkin pies every Thanksgiving. A fresh pumpkin + cinnamon + nutmeg + ginger + cloves. That's pumpkin spice. Anything else is silly. No pumpkin spice for me. I even saw pumpkin flavored yogurt the other day. Ugh! On the other hand, I do like pumpkin pie but mainly my grandmother's recipe, with a lot of ginger in it. Of course they wouldn't sell it if it wasn't popular. I too am being cremated so no worries. I have a love / hate relationship with pumpkin spice. I love pumpkin pie. Pumpkin bread, pumpkin rolls and pumpkin pancakes are all pretty good, but I have no use for pumpkins or spice in my coffee. Why ruin a good cup of coffee ? In a couple of months, there will be a lot of pumpkin spice flavored coffee and packaged items on the clearance shelf at the store. It will be quickly followed by the White Christmas coffee and cookies with green and red sprinkles. Let it also go on the record that I hate fall. It quickly turns into winter. yuck. I hate fall and winter. I try to consume more chocolate to help me get through those two miserable seasons! The turning leaves and crisp weather are some of the reasons I left my home town and moved to Florida. I hate being cold, and the leaves make me sad, because I know they will soon be gone, and in WV, they are followed by 5 months of naked trees and gray skies. No thank you. Unfortunately, even in FL, we still have the shortened days. I need to change hemispheres twice a year. Deborah Romano - that's an excellent plan! You feel the way I do about the leaves! They’re changing color because they’re dying, and soon all outdoors will be dreary and gray, except on the days of white, cold, slippery, dangerous snow or ice. From now until late May I will never be warm enough. My daughter brought me pumpkin waffles from Trader Joe's this morning, which she absolute loves. Me, not so much. Give me blueberry any day! Well, as someone who has had my Halloween decorations out since Wednesday of this past week, you will probably be able to guess how much I love Halloween and all things fall. Do I indulge in the Pumpkin Spice Latte at Starbucks? Not yet, but I will no doubt have one or two this season. I'm not gaga over them, but I enjoy them. I don't like messing with my regular coffee at home, so no pumpkin spice flavored coffees there. There is a delightful giant bag of pumpkin spice yogurt mini-pretzels at Sam's. I've already had one bag, and I plan on getting some more. I am a fan of only my pumpkin pie, or rather my mother-in-law's long standing recipe for pumpkin pie. It uses one can of pumpkin for two pies, thus not quite so pumpkiny, which I really like. The pies probably won't make an appearance until sometime in October. 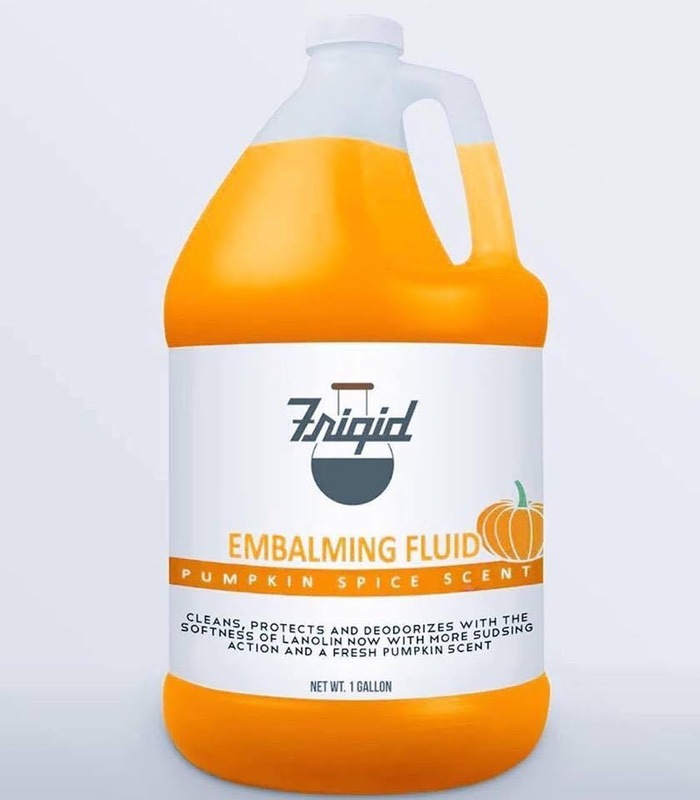 The pumpkin spice embalming fluid is a bridge way too far for me. You gotta wonder who thought that up. Embalming fluid, really. No. Just no. On a happy note, I was in Walmart today and discovered they had an entire table of a new product for this particular Walmart - chocolate croissants. No pumpkin pie spice in them either. Pumpkin spice(s) is fine in pie, cake, bread. It does not belong in coffee or beer. Or probably a lot of other things. Oddly enough I read somewhere that the aroma of pumpkin pie is a turn-on for a lot of men. So, be careful out there. I love Pumpkin spice stuff, much to my mother's dismay. (She hates it.) I'm a rebel. In fact, I bought pumpkin spiced frozen waffles at Trader Joe's today. I don't like real pumpkin pie, probably because I don't like nutmeg and cloves. My mother made "pumpkin custard" pie with butternut squash and cinnamon. I don't drink coffee and am being cremated so no opinions on those. I don't care if specialty foods start earlier than the season but not a fan of early decorations. If I like a food, I'll eat it whenever. I LOVE all things pumpkin - cookies, bread, pie, cheesecake, yes, cheesecake! And I usually enjoy one pumpkin spice latte per season but I don't really enjoy flavored coffee so it's a once a year thing for me. I plan to burn my dead carcass so embalming fluid is not necessary for me but if it was I'd prefer the scent of fresh laundry. Rhys, I was reading comments from some people I follow on Instagram and they do not like pumpkin spice either. I think it has something to do with taste buds. I love nutmeg and pumpkin spice. I love pumpkin pie. I think I like pumpkin spice latte. Totally hate pumpkin spice, pumpkin pie, bread, cookies, etc. My husband loves the pumpkin spice latte and has dubbed "pumpkin cake" SMH with laughter/love.